Or, born from above; also in John 3:7. Some mysterious lighting from above employed, to avoid making a flat & lifeless cartoon. 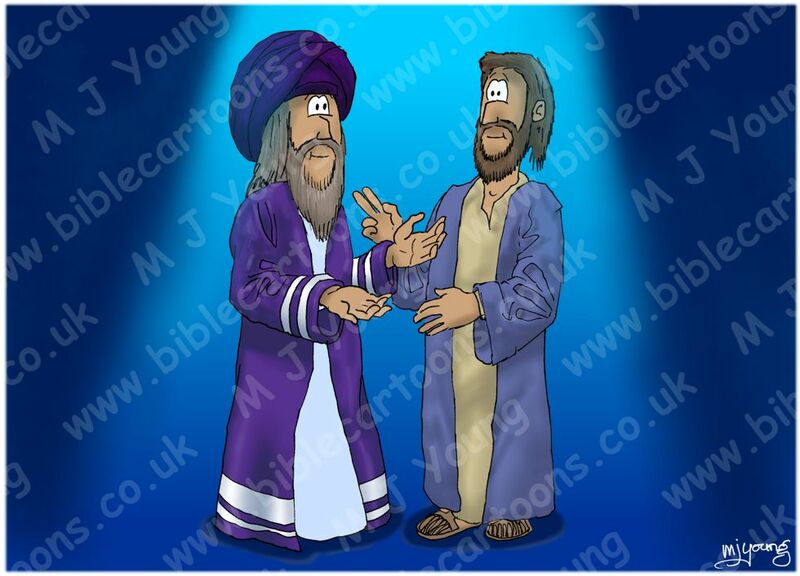 The cartoon is to show the debate & conversatioon between Jesus & Nicodemus. This is a friendly interaction, hence the smiles! 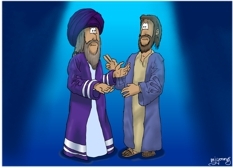 I think this cartoon was drawn after the “Jesus & Pharisees” one (John 08), hence Nicodemus looking similar in colouration to those other Pharisees.